It's hard to believe Baby T is 18 months this month already! He has been very interested in the potty and he has actually been using it ever since he could sit up. Of course it's not exactly 'potty training' in the usual sense of the phrase, but in our experience making the potty a part of every day life early on makes the transition our of diapers a lot easier and usually faster (less laundry for me, yay!). My parents, aunts, uncles, and grandparents can attest to that, it's just something they did with their kids in centuries past because hand washing prefolds all day wasn't exactly fun! 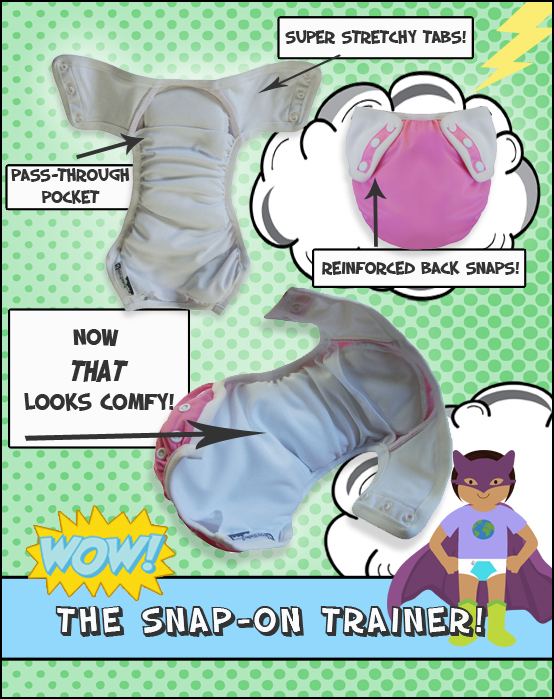 We are really excited to try the Super Undies snap on potty training pants on Baby T. I love that they are 'real undies' but I still get to have my dry floors and couches. 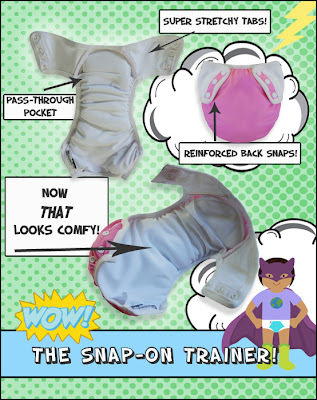 They are designed for the toddler to feel the wetness and they are easy to pull on and take off while still giving you the option to unsnap it for those messy accidents. They do have pull-on potty training pants, but we tried the snap-on version. 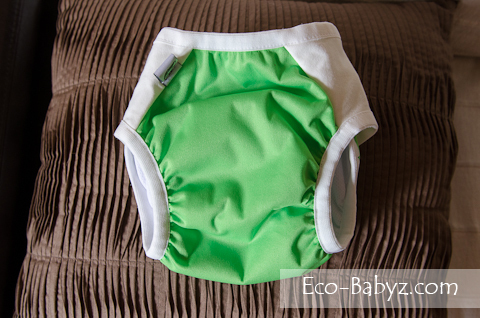 This is the back of the diaper, the snaps are in the back so that they are hard for a toddler to access - great thinking! This Super Undies illustration below gives you a good idea of what it looks like. It has a pass through pocket in the middle where you can optionally add some absorbency if needed, say for car rides or when you are out of the house. Love that flexibility! It certainly doesn't have the same absorbency as a cloth diaper and it shouldn't, since of course it is meant for potty training. It is helpful though to have the option to add extra because let's face it, not all potty training scenarios are the same. It's great when you are home, but when you are out and about, the last thing you need is to realize you forgot a change of clothing for your kid! 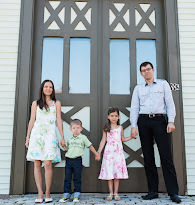 Lest you think we have everything figured out here at Eco-Babyz, I'll tell you a good story! This review was going to be posted yesterday, until I realized I took photos of Baby T in the Super Undies on BACKWARDS! Ha! So I had to re-photograph this super active munchkin in hopes of getting a few photos that aren't completely blurry one.more.time. That's the back story - just thought I would give you a good laugh. So yes, this below is the front of the Super Undies that snap in the back. At least now I know. As you can see, a great, trim fit! Super Undies contain accidents very well. How do I know? On some days, like last week, I put undies on him knowing full well that I will forget to put him on the potty and that he will not yet ask to go himself. So I know these hold a lot! I pretty much used it as a diaper, with just a tiny cotton insert for a booster. I love cloth trainers because they are easier to wash than cloth diapers. Love that they fit so well under clothing too. This is how they snap on, on the tightest/smallest setting below. These size small Super Undies are made for 2-3 year olds, they fit great on my 28-ish pound 18 month old. Since there is another larger snap setting, these will easily work for us until about 2.5 to 3 years old. You may get somewhat mislead by the photos - but no, they do not leave any marks on the baby, they are not tight or constricting. Rather gentle on the tummy and thighs. Super Undies come in many sizes, we tried the smallest. Believe it or not, their 5 sizes go all the way up to 7-10 years old. This is great for special needs kids or older children who happen to have accidents (I know that's not fun because I went through that as a kid, my poor mom!). Such cute, waterproof, reusable 'real' undies are hard to find in larger sizes I'm sure. They retail for $19.95 to $23.95 depending on your choice of size and snap/pull-on style. If you happen to have a bed wetter, they also make bedwetting pants (that will save you some sanity, these are $29.95 to $34.95. Parents have rave reviews for these! Baby T loves his Super Undies! Super Undies is owned by a Christian mom who started it as a hobby, looks like it has really taken off! I love seeing small, mom-owned businesses succeed. If you have a toddler, I highly recommend trying Super Undies! You'll love the great fit, versatility, and the peace of knowing accidents can be contained! One of you will win a pair of Super Undies during the Fluffy Mail giveaway that starts today! These look fantastic. I like that the opening is in the back so it's harder for baby to undo them. And that it's button closure instead of velcro. It's cleaner and stronger, in my opinion. they snap in the back! great idea... mine loves taking diapers off. I love the wide range of sizes for these. My kiddo is 98th percentile for height and weight so that's great for us! These are adorable! I'd like to try the pull-on trainers for my daughter. She just turned 3 and she's fully trained except for the occasional accident every few days. I've been flirting with these for a while now :) My 2.5 yr old is potty training and doing great, so I am pondering getting them or not. I love all the bright colors that super undies come in and they look so comfy! I would love to try them! What a great idea to have the snaps further back, away from curious toddler fingers! I've already had to retire the aplix diapers (unless worn under clothing) after my daughter took them off and hid them somewhere around the house. Great review, hope to give these a try. I like that they pull on & off easy. What a great product! smart designers to put the snaps in back! Oh wow! I haven't heard of this brand yet! I almost look forward to potty training after checking out the Super Undies website and reading this review. These seem like they are a great, practical option and I love that they come in snaps or pull on. So smart to put the snaps in back, although some of those crafty kids will still find a way to undo them! I like that you can pull them on and off, AND undo them at the sides. Very stylish and I too love the snaps in the back, very clever!! I love all the bright colors they come in and the snap up sides. I potty trained all of my children with pull up undies only and it is a PAIN in the neck! First off..baby T is too cute! I love how the snaps are more toward the back so it's harder for them to undo! my son is 10 months at the moment, but these would really come in handy when he gets a little older! could have been a life saver if I had them with my oldest! I'm sure, if I didn't read this i too would put them on backwards! haha. I also like how they are just absorbent enough that if you are out and about and they have an accident it's not a HUGE deal! I will definitely have to get some of these when Baby is old enough for potty training!